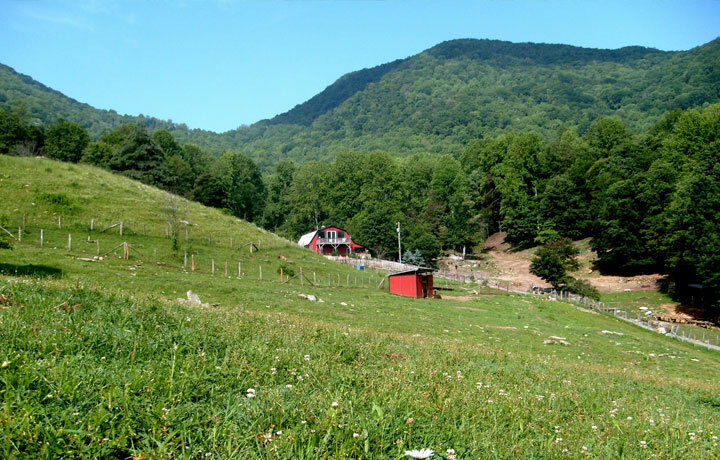 Newfound has a 180-degree view, from Sam’s Gap and Haywood Gap to the west, Wilson Ridge and Little Sandy Mush Bald from your front porch, and the ridges of Boyd Cove and Robinson Cove to the east. 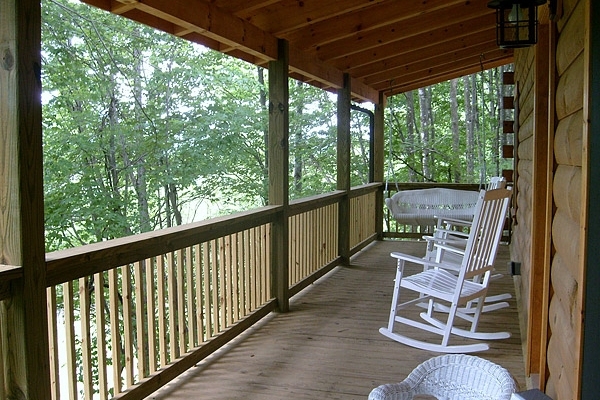 You’ll also have the company of horses grazing in the nearby Haywood Pasture. 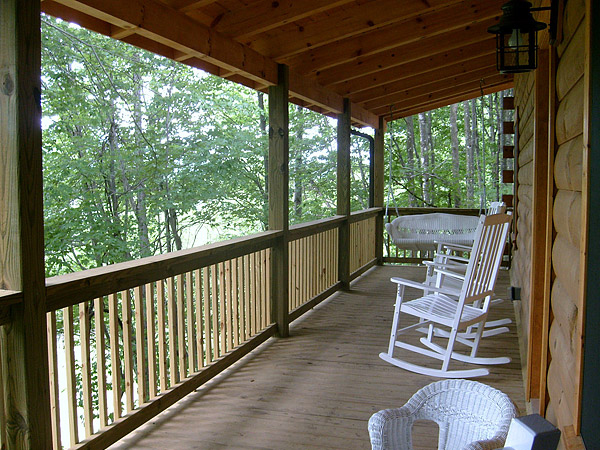 Set just above the Games Lawn and looking out on its rolling meadow, Newfound is particularly well suited for younger children and from the front porch parents can watch older kids at play. 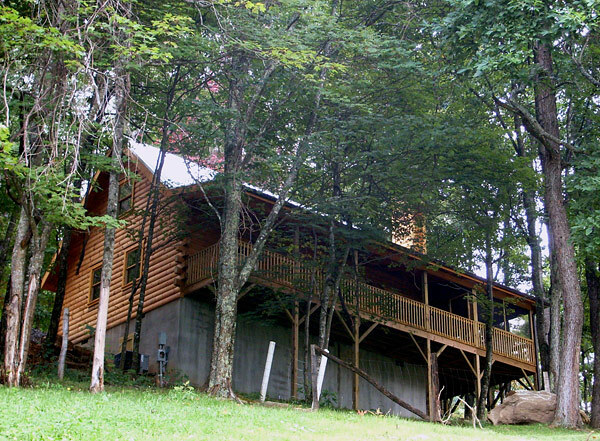 Newfound has two bedrooms, a large sleeping loft, and baths upstairs and downstairs. It comfortably sleeps up to 8. 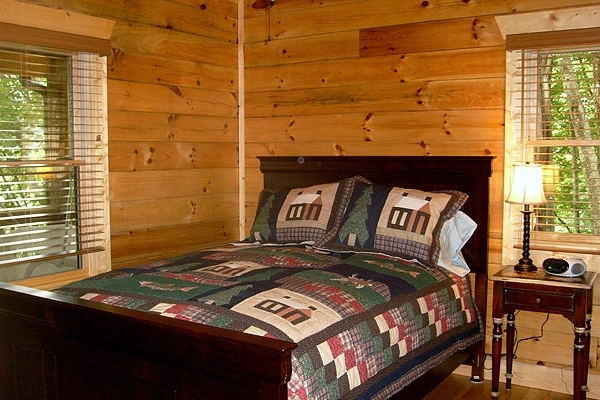 This cabin has two Queen bedrooms, a loft with two Twin beds and full standing headroom, an auxiliary bed (Queen raised Premier Aerobed), and two full baths. 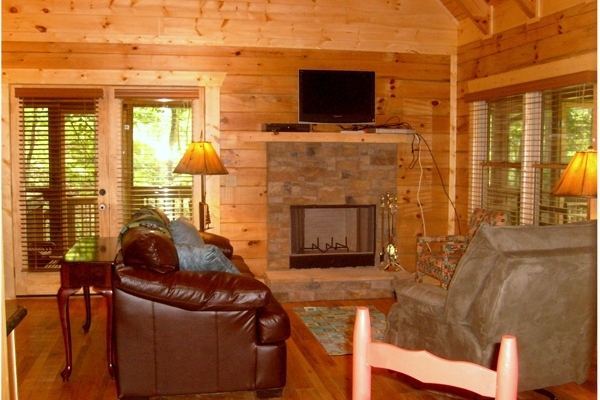 Rental Includes: Full furnishings; completely equipped kitchen; linens; paper goods; cleaning supplies; and firewood. Also included: Randall Glen amenities including trout fishing*; bluegill pond for sport fishing; hiking & biking trails; interactive farm; game room with billiards, ping pong, & Foosball; entertainment library; bonfires & cookouts; creek with “sliding rock” swimming hole. Horseback riding, gem mining, gift shop, and general store are additional according to usage. *Our trout pond is currently undergoing construction and is unavailable for fishing. We apologize for any inconveniences. 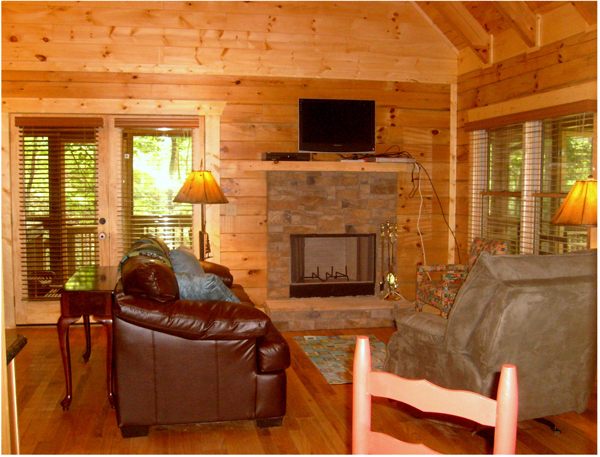 Cabin Features: Private 6-person stereo hot tub; woodburning fireplace; cathedral ceilings & hardwood floors; designer furnishings; chef’s kitchen with full size appliances, dishwasher, microwave, coffee maker, toaster, blender; featherbeds, heated towels, & premium linens; rocking chair front porch & large furnished screened porch; 32′ flatscreen TV & bedroom TV with satellite service; charcoal grill; central heat & air conditioning; washer/dryer; year round mountain views. 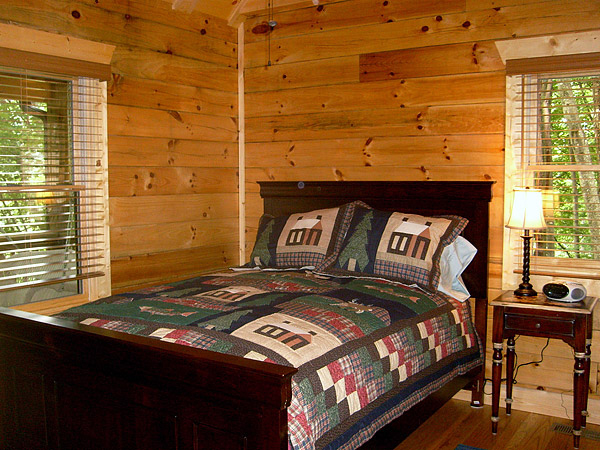 A fee of $115.00 for cleaning the cabin, laundering the sheets, towels, etc, and emptying and cleaning the hot tub upon your departure will be added to the charges for your rental for stays of less than 7 nights. If you stay for 7 nights, the 7th night is free and there is no cleaning fee. PLEASE NOTE: We wish we could welcome pets, but this is a working farm. It is the job of our 9 Great Pyrenees guardian dogs to protect our livestock. They sometimes perceive visitor dogs as a threat, and this creates a very stressful situation for all parties. For this reason, pets of any kind are strictly prohibited in all of our cabins. We hope you understand.